It had to happen sooner or later... Google brings the power of Search to eCommerce! Why oh Why eBay, did you not think of That! Hmmmm - maybe eBay can sign up for Google Commerce Search and scrap this whole "finding" experiment... Maybe with Google Search installed on eBay.com, the term Best Match might actually mean that the best product matching the search terms entered will be presented. Once you've signed up for Google Commerce Search, your site administrator will follow these simple steps. Step 1: Submit your product data to the Google Merchant Center and Google Product Search. Visit www.google.com/merchants to upload your items via data feeds, direct uploads, or use our API. Step 2: Customize the look and feel of your on-site search engine. Log into the administrative console to manage product promotions, upload synonym dictionaries, and control parametric search options. Step 3: Analyze your site's traffic and search effectiveness. View custom reports on top queries, special feature usage and more. Search is a critical part of the shopping experience; in fact, 71% of online shoppers use keyword searches to find products (eTailing Group). Google Commerce Search addresses this need by offering an easy-to-deploy solution with Google speed and relevancy. The average conversion rates of retail sites is barely 3% (Forrester). Yet, with effective tactics, retailers can achieve a much higher conversion rate. For instance, the top 10 visitor-to-buyer conversion rates ranged from 16% to 45% (Nielsen Online). Effective search can bridge this gap considerably: customers who use the search box on e-commerce sites convert at nearly three times the rate of general browsers (MarketingSherpa). Forrester projects that 47% of online retailer revenue comes from repeat shoppers. By enhancing shopper experience, Google Commerce Search can improve customer loyalty, and ultimately increase customer lifetime value. Google Commerce Search is an entirely hosted, software-as-a-service offering. You simply upload your product information to Google Merchant Center, and Google Commerce Search intelligently leverages the product feed and provides your website with search capabilities. With Google Commerce Search, you are leveraging the powerful Google platform: the speed, relevance, reliability, and certainly scalability. As your customer base grows, you can scale your search solution effortlessly - without adding any servers or other infrastructure. By deploying a Software-as-a-Service solution, you'll be able to enjoy the ever-growing number of Google features and updates automatically, without any sort of deployment or upgrade on your end. Retailers who excel at understanding and responding to usage metrics are able to improve conversion rates by as much as 24%, while less responsive companies' conversions tend to stay flat (Jupiter Research). Google Commerce Search provides you advanced reporting tools to measure and streamline - so you can maximize the effectiveness of your website. Using Google Commerce Search will not improve your rankings within Google Product Search or in Google.com searches. Google Commerce Search will allow you to promote and order your product listings when users search for items on your website. Scott, is this the same product, and if so, is the pricing right? I didn’t have a price point to work from, I suppose you would need to call Google to discuss the matter. The pricing model for Google Commerce Search is based on the number of products/items (SKUs) in your data feed and the number of search queries entered on your site each year. If you want to discuss your specific search requirements with a Google representative, please contact a sales representative directly. My point here is that even if it could be had at 50K, eBay should have made a deal with Google long ago instead of constantly squabbling and fighting with them. Google does search – they do it better than anyone. One of eBay’s biggest problems for a long time has been search and “finding”. Constantly trying to re-invent the way people search for stuff has led eBay down a very dodgy path – making nice and possibly using Google Search within eBay, assuring inclusion of all listed items (fixed price) in Google Products search, would have been the smarter move – IMHO. What is done is done, but 50k a year – if that is the price tag, seems to be a small price to pay (ifin I were eBay and I were looking at my dwindling Alexa numbers). Thats all I’m sayin Cliff…. Thing is, Google always seem to do things perfectly, they just know how to do it right, but i hope their e-commerce search doesn’t make eBay obsolete in a few years. 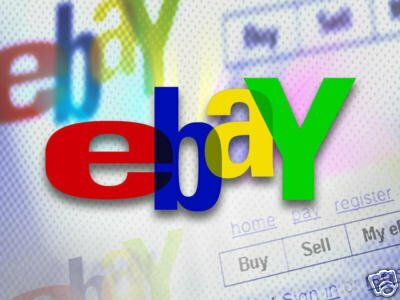 I’ve only been a buyer on eBay, rather than a seller, and i was wondering, does eBay provide you with data about your sales and customers like Google will provide custom reports?